Does Dental Insurance Cover Sedation Dentistry? 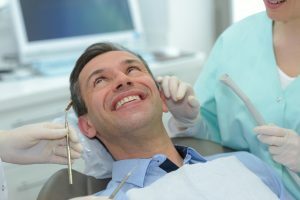 Now, sedation dentistry is commonly used to help promote the dental experience for patients who have unique needs. It is widely used to ease fears and anxieties of patients who suffer from dental-related phobias. It can also benefit those who have difficulty keeping their jaw open, a strong gag reflex, or need multiple or invasive procedures. If any of these situations sound familiar, you could enjoy a more comfortable experience with the help of sedation; however, you are concerned about the cost. There is no need to worry. You may be able to use your dental insurance to pay for it. Better known as “laughing gas,” nitrous oxide is an inhaled sedative with few side effects. A nasal mask is used to deliver the correct dosage, which can be adjusted to ensure you receive the right amount. It takes effect quickly to help you reach a high level of relaxation. After your appointment, the mask is removed, and the effects dissipate quickly, so you can resume your normal activities the same day. Oral conscious sedation is a prescribed medication taken before your appointment. This helps you relax even before you leave your house. The sedative allows any worries or anxieties to fade away while you enjoy a pain-free appointment. In can take a few hours for the medication to wear off, so you will need someone to drive you home from your appointment. It is also best to spend the remainder of the day relaxing. Depending on your specific policy, your dental insurance may cover a portion of the cost of the treatment. Most major dental plans consider it to be classified as a luxury or optional; however, there are times when it is covered, such as when it is medically necessary. Each type of sedation varies in cost. Depending on the type your dentist recommends, you can generally expect to pay $150 to $200 for a mild sedative, like nitrous oxide. To see if your policy covers it, it is best to get a pre-determination from your insurance company. Your dentist works on your behalf with your insurance company to maximize the value of your coverage. If you have difficulty enjoying your dental appointments, sedation dentistry can help you sit back and relax. During your consultation, your dentist discusses your options to determine which type is right for you. They also work with your insurance to reduce the amount you need to pay out-of-pocket. Do not let your discomfort stop you from visiting your dentist. Find out how sedation dentistry can help you. Dr. David Tripulas provides advanced dental services to meet the needs of his patients. He is specially trained to provide sedation dentistry to accommodate patients who need extra help relaxing during their appointment. If you are ready to enjoy your next appointment, contact our office today to schedule an appointment. Comments Off on Does Dental Insurance Cover Sedation Dentistry?